In Ecuador, the Sapara people find their culture and their way of life threatened by plans to drill for oil in the Amazon Basin. Empowered by Light has installed solar systems in three communities fighting illegal encroachment. As part of the work, the Sapara communities have also been provided with satellite communications equipment that will help them stay connected with global conservation and human rights organizations as they fight to save their territory. Empowered by Light is collaborating with Amazon Watch, Greenpeace-Brazil, and others to build small, replicable solar systems for indigenous peoples like the Sapara who are struggling at the intersection of conservation, conflict, and livelihood development. These systems allow these indigenous groups to thrive as autonomous but connected communities, while also increasing their capacity to share their stories, struggles, and solutions with the wider world. 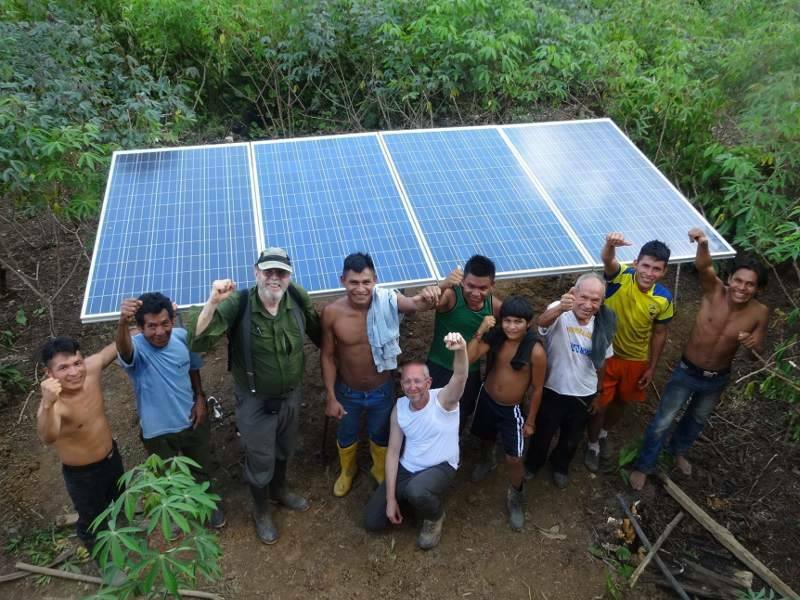 Empowered by Light is partnering with Kara Solar and Amazon Watch to build a solar-powered canoe and charging station for the Achuar people living along 67-kilometers of river ways in the Achuar territory of southeastern Ecuadorian Amazon. The canoe will enable the Achuar to transport people and goods among their communities, and the onshore solar recharge station will also serve as a community center. Currently, the Achuar rely on diesel, flown in by airplane to power their boats. This combination of solar-powered boat(s) and recharging stations could be replicated throughout the Amazon to benefit numerous other indigenous people living in the region.